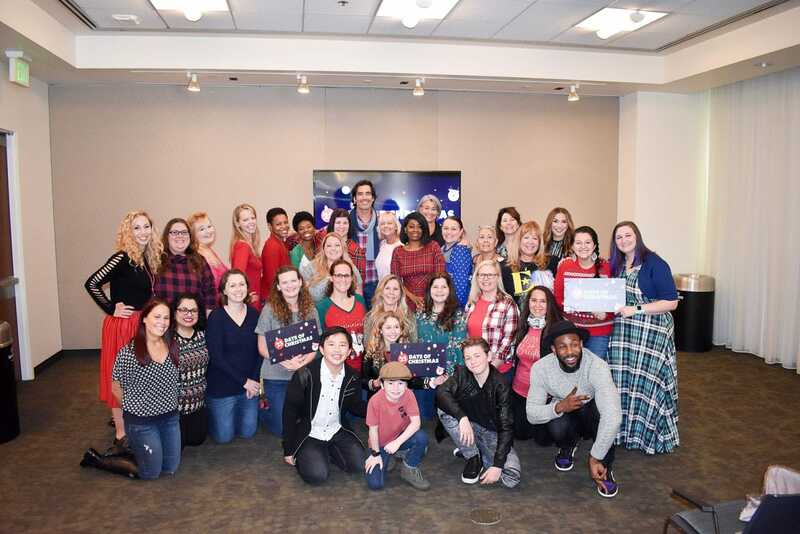 As part of my 25 Days of Christmas press event, I was treated to a screening of “Coop and Cami Ask the World” holiday episode. Afterward, we sat down the cast to talk about filming the episode and everything we love about the holidays. Thank you to Disney for flying me to LA for the 25 Days of Christmas press day event. 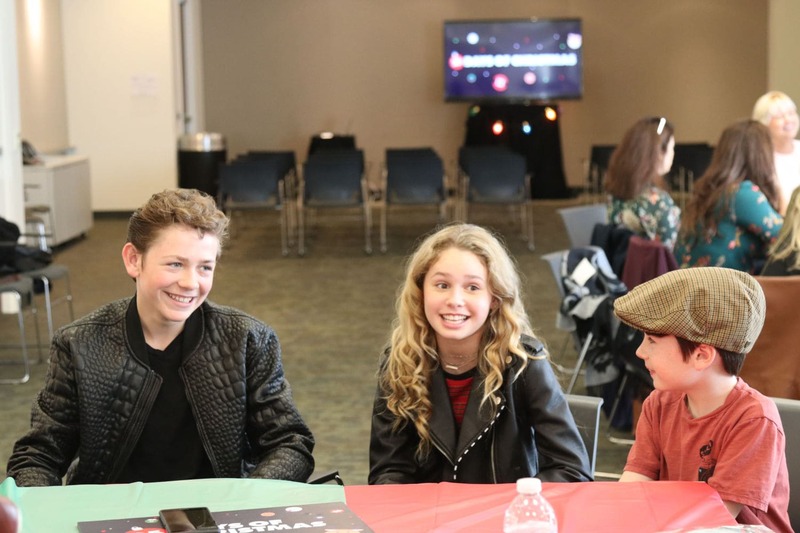 The show features the two middle school students, their little brother Ollie, their older sister Charlotte and Coop’s best friend Fred. 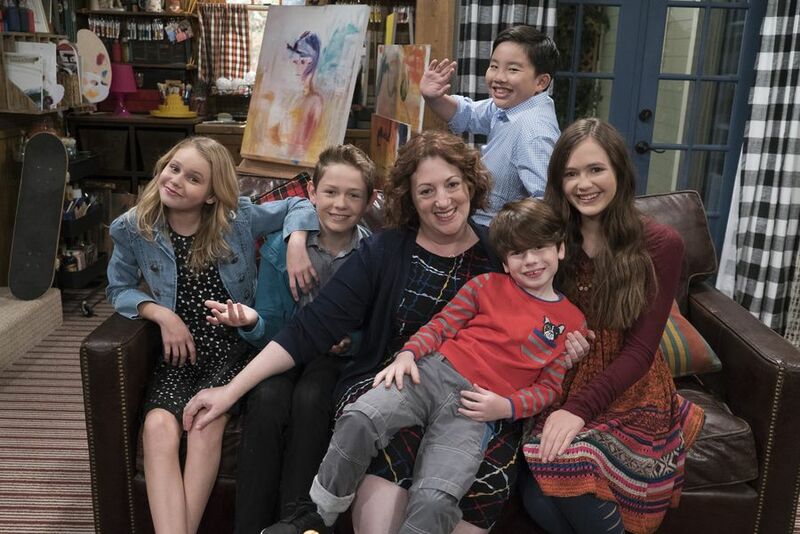 The Wrather mom, Jenna, also play a big role in the show, especially in the holiday episode. As I mentioned before, we screened the holiday-themed episode “Would You Wrather Get a Moose Angry.” In this episode, the kids work together to try and make Jenna’s wish of a classic Wrather Christmas come true, but a major snowstorm and a disgruntled moose disrupt their holiday plans! I enjoyed the show and can see why it is a huge hit with kids! I know my tween son would really enjoy it and get a kick out of Fred. I loved that the show talked about the importance of family traditions and what is truly important during the holidays. If you have young children be sure to catch an episode on the Disney Channel. 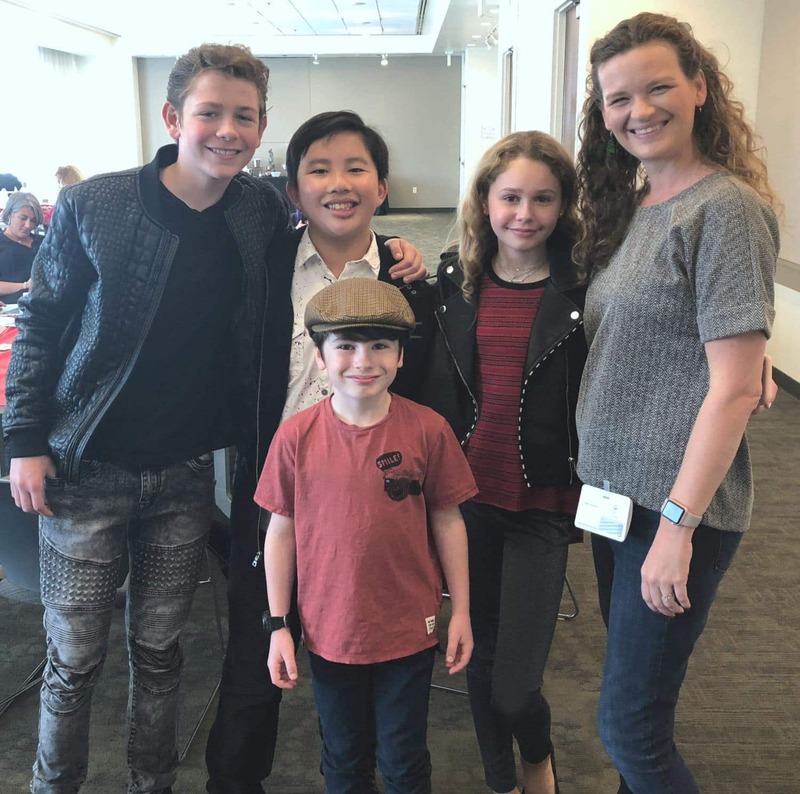 After the screening, I had a chance to talk with the cast, Dakota Lotus (Coop), Ruby Rose Turner (Cami), Albert Tsai (Fred), and Paxton Booth (Ollie), about filming the episode and some of their favorite holiday traditions. The episode was actually filmed in July in California so we were wondering if it really felt like the holidays or not. Albert told us that once they put up all the Christmas décor and set up all the sets, they were able to get into the spirit. The episode is all about holiday family traditions so we asked the cast if they had their own family traditions they love to do with their family. Albert : I just love decorating the tree and putting up all the decorations to get in like a festive mood and also like baking treats for friends and family. Dakota: I just love spending time with friends and family and being able to share the joy of Christmas with everyone and, eating cookies, too. ‘Cause there’s a lot of Christmas cookies, and they’re very delicious. Paxton: My grandma, I only get to see my grandma once a year, and that’s Christmastime, so we always share Christmas together with Grandma. Ruby Rose: I think my Christmas tradition is we have a big neighborhood that does really fun stuff every year. It was like that in the episode, but like much more, so we always like to go around and walk and see all the other Christmas lights, so it’s fun. After our interview, we all made Christmas Ornaments together. The cast of Coop and Cami Ask the World and the other 25 Days of Christmas hosts judged and declared a winner. While I didn’t win, I had a lot of fun making new holiday memories with the incredibly talented people. 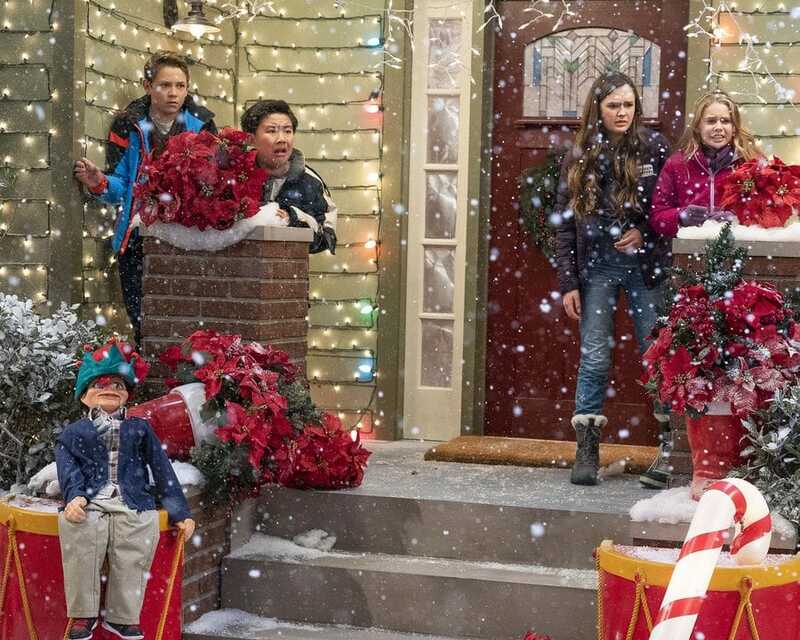 Be sure to tune in for the Coop & Cami Ask The World – “Would You Wrather Get a Moose Angry” episode tonight, December 7th at 8:30 p.m. ET/PT on Disney Channel. It is also available on the Disney NOW app.